MTech MDM, a company dedicated to supporting the mobile technology that modern workforces rely on every day, announced today the appointment of Leonel Silva as Vice President, Finance. The seasoned executive’s financial expertise will support MTech in its ongoing growth and service provision in the enterprise mobile device management sector. 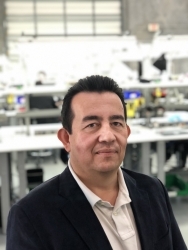 Palm Beach Gardens, FL, April 11, 2019 --(PR.com)-- MTech MDM, a company dedicated to supporting the mobile technology that modern workforces rely on every day, announced today the appointment of Leonel Silva as Vice President, Finance.